Turkey’s elections are over. Politics continues. As Turkey’s main opposition and social democratic party, the CHP’s firm support to the EU accession process continues as well. Meanwhile, from Middle Eastern refugees to Russian troubles, both the EU and Turkey pay a high price because of years of stalemate in Turkey’s EU accession process. Brussels has been failing to engage Turkey in this process, mainly because of the exaggerated blockings of membership negotiations chapters by Cyprus, even in areas linked to the democracy and the rule of law: insane and irrational. 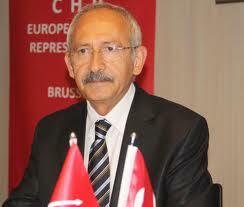 Turkey in its side has been experiencing an increasingly authoritarian government, unfair electoral environment, mismanagement of the Kurdish question, manipulation of the terrorist attacks for political maneuvers and the lack of sound policies in the crucial fields such as the digital economy, public procurement, work place safety, gender equality, environment and the education. This is a bad picture for both the Turkish and the EU citizens. There are now significant opportunities ahead in Turkey’s relationship with the European Union. A well-managed EU process would yield added-value for Turkey with multiplier impact in terms of democracy, international political power, economy and social development. Turkey as an EU member could leave the “regional power” rhetoric behind and rise to become a country which contributes to Europe’s global influence. Turkey is not an oil-rich, nuclear or financial power. For Turkey, “power” means the ability to become a democratic, well-educated, economically strong and creative society. How will the EU accession process help to achieve this goal? That is the main question. The discussions on Grexit and Brexit are not limited to where Greece or the United Kingdom stands within the EU. It means that the institutional system of the EU will have to be overhauled. Arguments for reform, taking such forms as the “European integration in concentric circles”, “variable geometry” or “multi-speed Europe” are starting to emerge. As Europe is changing, in parallel Turkey should take on the opportunities and integrate itself into the emerging new European architecture. Beyond Europe, as the power balance in the world is being redefined, Turkey could rise to a much powerful position in the West. Turkey should get on the same stage with such initiatives like the Transatlantic Trade and Investment Partnership (TTIP) between the EU and the US, as well as digital economy and new energy policies. In a rapidly changing climate, from the Iranian nuclear deal to the ISIS catastrophe and the ongoing Russian roulette, Turkey will be able to protect its national interests only by becoming a stronger democracy. Reestablishing a respected presence in the West and good management of the EU process are indispensable. Serious problems such as the management of the refugee crises (over 2 million Syrians are hosted by Turkey) and a settlement of the conflicts in Syria necessitate solidarity within NATO, but also stronger coordination with the EU’s External Action. This, in turn, calls for true democracy, well managed economy that inspires confidence, environmentally friendly policies, and reforms in education, innovative technology policies and a citizen-oriented political system. Firstly, negotiation chapters in the EU accession process regarding social policies, public procurement and competition law should start immediately. These chapters are crucial for the Turkish people in such issues like security in the work place and the gender equality as well as in the fight against the corruption. These negotiation chapters are not politically blocked at the EU Council. Negotiations on updating the current EU-Turkey customs union should also proceed, within the perspective of full EU membership and inclusion to TTIP. For that Ankara needs just political will and patriotism. Secondly, all anti-democratic laws and regulations in areas such as the internet security, data privacy and the judiciary power should be revised to meet EU standards simultaneously and the rule of law should be restored. A clear test of credibility for the EU Council is still to open the related negotiation chapters with Turkey. Blocking these chapters deprives the EU from its main soft power instrument to promote a democratic Turkey and harms first of all the main owner of this veto policy, namely Cyprus. Thirdly, the ongoing bilateral negotiations in Cyprus should be supported and necessary steps should be taken to ensure a fast and fair solution between the parties. Powered by the wind of democratic reform and socio-economic leaps of change, Turkey can make incredible progress in bilateral relations, not only with Cyprus, but also with Armenia and Israel, promoting as well the European values and interests in Middle East and beyond. It will be also a big challenge for Brussels to not miss time the historical opportunity of re-engaging Turkey. Fourthly, the management model for the EU negotiations should be reevaluated and redesigned to include all segments of the population and all political parties. Just as is the case with the Croatian model, opposition parties also need to be included through executive boards that have responsibilities and play a direct role in the negotiation process. Thus, the relationship with civil society could move further than mass meetings without tangible results. There will be a chance to start collaborative, non-partisan efforts in collaboration with the unions, the private sector, academic institutions, the media and various youth civil society organizations. Adoption of EU standards will become an area of societal acceptance and mobilization. The EU funded projects and initiatives in Turkey should also enhance their recent trend of becoming more open to various parts of the society. It is also time to better communicate to the European public the real challenges for a stronger Europe on the world scene in relation with a better managed enlargement to Turkey. The European Commission’s decision to adopt a new approach for the yearly regular progress reports for the EU accession countries may also be helpful in this respect. However the postponement of the 2015 EU progress report to not disturb Ankara with critism on the democratic criteria before the elections was far from being the glorious moment of European soft power. Strategically, Turkey’s relations with the EU ought to move beyond the negotiation process. Turkey may have a place in EU policies which shape Europe’s and therefore Turkey’s future, such as energy, trade, digital economy, social system and climate change. A well-managed accession process would yield added-value for Turkish and EU citizens with multiplier impact. FEPS is the European progressive political foundation. The only progressive think tank at European level establishes an intellectual crossroad between social democracy and the European project, putting fresh thinking at the core of its action. As a platform for ideas , FEPS works in close collaboration with social democratic organisations, and in particular national foundations and thinktanks across Europe, to tackle the challenges that Europe faces today. Close to the Party of European Socialists (PES) but nevertheless independent, FEPS embodies a new way of thinking on the social democratic, socialist and labour scene in Europe. Gallery | This entry was posted in Uncategorized and tagged EU, European Progressive Observatory, FEPS, kader sevinc, Progressive, Turkey - EU. Bookmark the permalink.